Welcome to D5, the fifth-annual DAYTONA 100!!! Run on quiet seaside streets and a beach with sand so sturdy it once hosted the world's most famous car race, the DAYTONA 100 is an extremely flat and fast course . . . it was likely the fastest 100-mile course in the entire country in 2016, with the vast majority of the field setting huge PRs. With the moderate-to-cool North Florida temperatures in December this course is absolutely perfect for anyone looking to run a first 100-miler, or to notch a PR in the distance. You can run the DAYTONA 100 either crewed or uncrewed, that's up to you. We will have fully-stocked aid stations approximately every 10 miles, and coolers with ice and water every 5 miles between those stations. In conjunction with the DAYTONA 100, we will also again be hosting the DAYTONA 50 mile race (which will follow the second-half of the 100-mile course) and DAYTONA 50k (which begins at approximately Mile 70)! 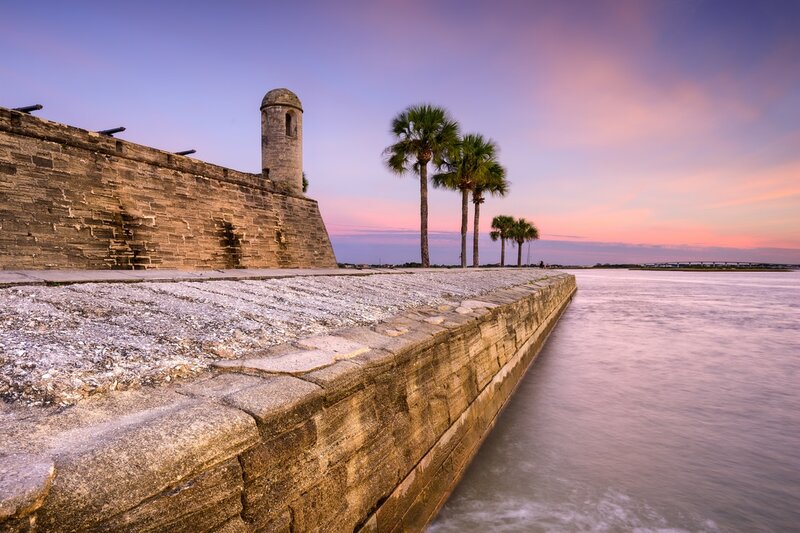 You will pass through gorgeous seaside towns such as Atlantic Beach, Jacksonville Beach, Ponte Vedra, and right through downtown St. Augustine, "America's Oldest City"! (The 5-mile section from Ponte Vedra to St. Augustine is the first of two "beach sections" of the race.) You'll continue your journey south through St. Augustine Beach, Beverly Beach, Flagler Beach, and Ormond Beach. 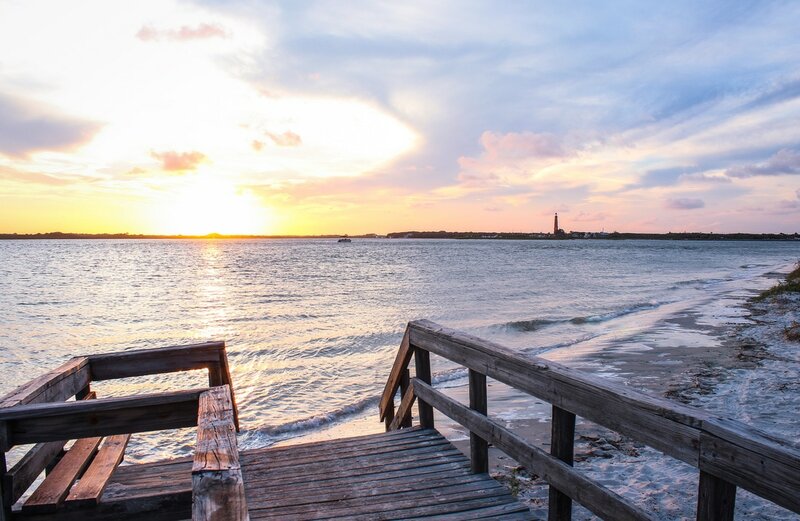 Once you reach Daytona Beach Shores (Mile 88.5), you will hop on the beach itself for a second time and follow it for the next 4.1 miles, all the way to the finish in Ponce Inlet (with a slight detour from Miles 93-98 to loop around the beautiful and iconic Ponce Inlet Lighthouse). You will be guided by the moonlight and the next morning's sunrise (depending on how fast your run!) all the way through the finish line (in front of famed restaurant/bar Racing's North Turn)! Additionally, the DAYTONA 100 will feature fully-custom and personalized race bibs! For all runners who sign up by December 2nd -- one week before the race date -- we guarantee their name and national flag will be on the bib! Also, we offer the option to request your favorite race number!!! Whether you are running your first ultramarathon or 50th, you will absolutely love running along the lakes and iconic towns of Northern Michigan in June! Check out www.lighthouse100ultra.com to learn more about America's next great road ultra!!! Registration is open now, for the June 2018 LIGHTHOUSE 100 and LIGHTHOUSE 50 ultramarathons!!! The DAYTONA 100 is proud to partner with Impossible 2 Possible (i2P), an amazing non-profit organization dedicated to encouraging youth to reach beyond their perceived limits, and to use adventure as a medium to educate, inspire and empower young people all over the world. i2P's Experiential Learning Programs and expeditions deliver the world to the classroom and the classroom to the world! The vision of i2P is to break the boundaries that bind modern education by using mind blowing adventures as the platform for true interactive learning. All i2P expeditions are created as fully interactive web based experiential learning programs utilizing live satellite communications, daily videos, written blogs, and photo journals to deliver peer-to-peer learning from the most remote regions of the planet.